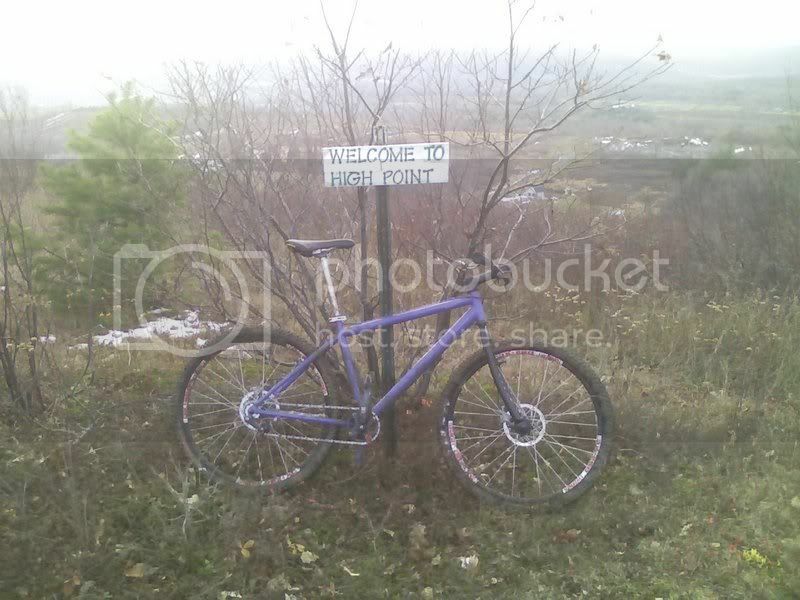 I need a bike for around town that I can lock up outside and not really wary abut too much. I think I have most of the parts lying around to make a 26in or 29 ss. The big question is the frame. Price point has the settie reken frames for $89 its hard to beet. 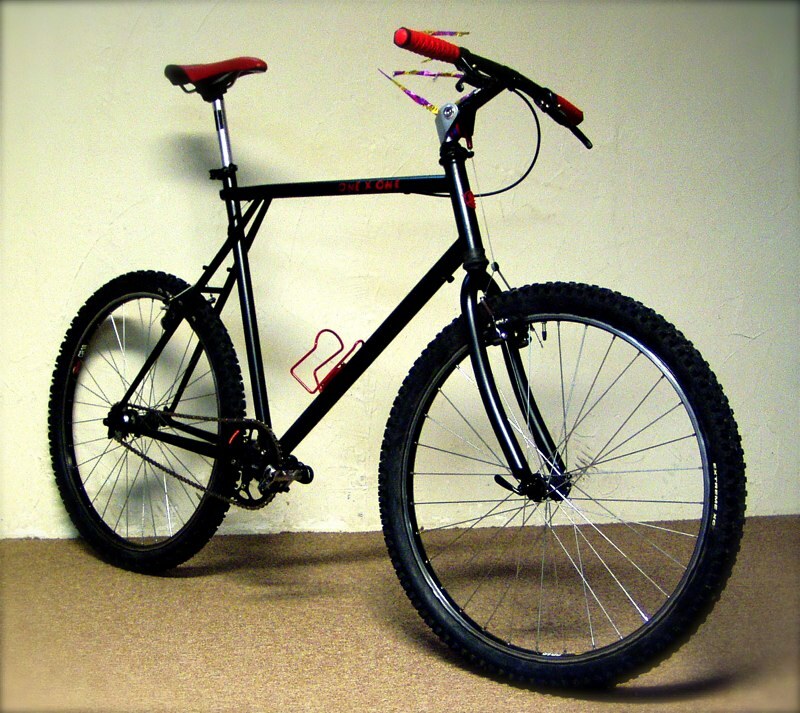 Im thinking about doing a mountain frame with road bars and cantilever brakes. I guess what im looking for help on is would that set up be better on a 29er frame? Just rember its never going to make it off road? 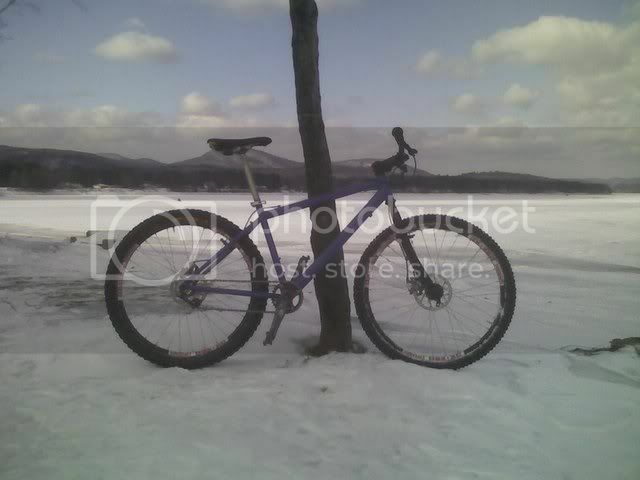 Im guessing a cyclo-cross bike would be better but I don’t have parts for that and frames don’t seem to be as cheep. Bought this at a salvage yard for $10 and converted it to a SS. Nashbar has a frame for $44.95. It's 6.2 lbs. The Sette Reken is 4.5 lbs. Those are the cheapest I've seen lately. Great find, John_Michael! Nashbar is selling the $50 frame as a "beater/hucking/commuting/townie/single speed bike." You can't lose at $50. The frame also has IS mounts for your DISC setup. Ditto on the nashbar frame heres mine (nasbar steel frame) built up with mostly new parts for around $300 with some careful deal hunting. Dam thats cheep. Nice thanx i dident see that when i was looking at frames. My friend's new ss build started as a mid eighties Nishiki Olympic 10 speed road bike and these are notable because their frames are very well made and ride quite nicely. I don't think he paid very much for the bike and good road bikes can be bought for very little money and converted very cheaply. The old 5 speed freewheel was removed and an 18 tooth BMX freewheel replaced it, the front chainring is a nearly new 48 tooth Biopace that came from my shop (we likes the Biopace here). The frame was sanded and spray bombed that lovely shade of orange as the original bronze finish just didn't do it for him. One of my absolute favourite bikes is a 1973 Raleigh Carlton Gran Sport that I picked up at a second hand store for $10.00... a steal when you consider that it was built on a Reynolds 531 frame. It was converted to an SS for the cost of a BMX freewheel, a new chain, and some NOS centre pull brakes (I had to keep it vintage) and I'll be keeping the paint job original. I had the vintage 700c Raleigh/Weinmann wheels (not pictured here), the vintage saddle, and the vintage pedals in my shop... and yes... it's geared like a track bike and is diabolically fast..
Way OT but Sixty Fiver I think I have an un-used biopace chainring layin around here somewheres.